Finland is now considered part of Scandinavia, but that hasn't always been the case, and the country has more in common with Russia than it does with its other neighbors in many ways. Now known as a high-tech powerhouse, Finland has all the modern conveniences but plenty of old world charm mixed in. During the short summers the city dwellers tend to flock to lakeside cabins for the simple life, but there is no shortage of stimulation to keep the traveler busy. Helsinki is obviously the first place you think about when discussing Finland, and fortunately its capital and largest city is also a great destination. It's a big city, but the center is compact and free from skyscrapers, so it feels very traditional even with all the high tech infrastructure surrounding you. During summer the sidewalks fill up with diners and people-watchers and the open-air markets are filled with fresh local food. The old town of Rauma is another hot destination for travelers. It's the largest wooden town preserved in Scandinavia, and the center is filled with artisans and craftsmen, so the visitor can see what life was like before every citizen had a Nokia mobile phone. Check out forested wilderness areas in the northern and eastern parts of the country. Lemmonjoki and Oulanka National Parks are both great places to hike in the summer months. 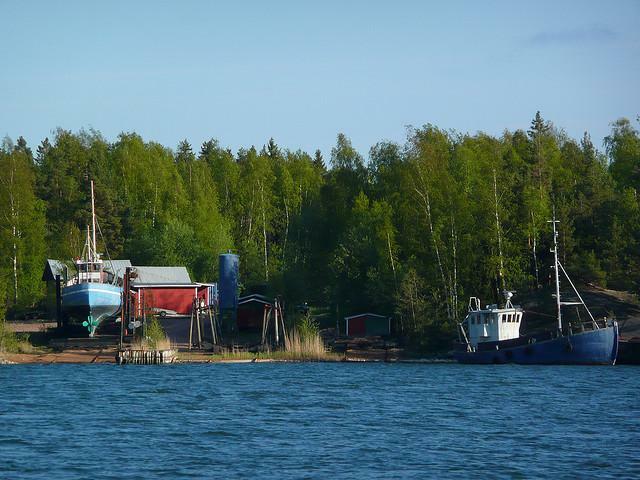 Read: Five Island Treasures of Finland's Baltic Coast. Helsinki is reachable by long train journeys from nearby countries so it's an ideal destination to burn a day on your Scandinavia Eurail Pass. There are also ferries that run regularly from Stockholm and Tallinn, among other places, but most visitors will want to book a flight into Helsinki-Vantaa International Airport. The airport is not close to the center so taxis are expensive, but there are city buses as well as shuttles that can save you money if you've got a few extra minutes. Read: The Finnish Connection, Europe. Finland is a huge country, but most visitors will want to at least stop in Helsinki for a couple days even if they are planning to go further out. There are several hostels in Helsinki. Summer is the busy season so plan well ahead if you want to book an affordable place near the center.